The Babar fabric is quite a find. You'll have to post what you make with that!! Babar! I love babar. I'm also smitten with that border print, it's quite lovely. I love it! 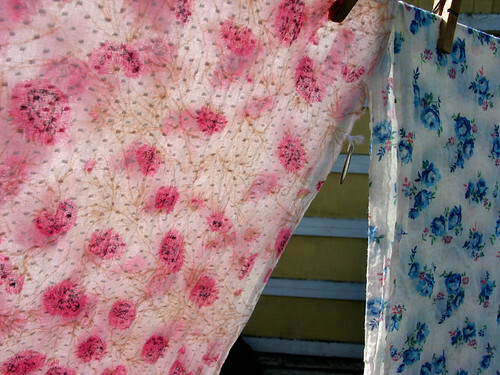 There's nothing better than brightly colored fabric fluttering on the clothesline in the sun, either. You have a great blog. Wowee! 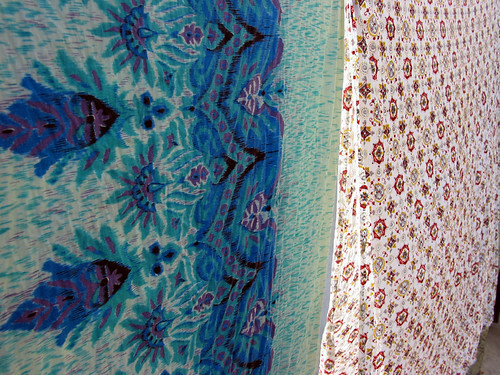 Babar fabric. It's all so lovely! What a fantastic selection...I love them all! I'm with you on the endless cleaning....we leave here in 10 days! Sorry we never got to meet up! Oh, the Babar fabric is to die for! sweet. These are all so fabulous. 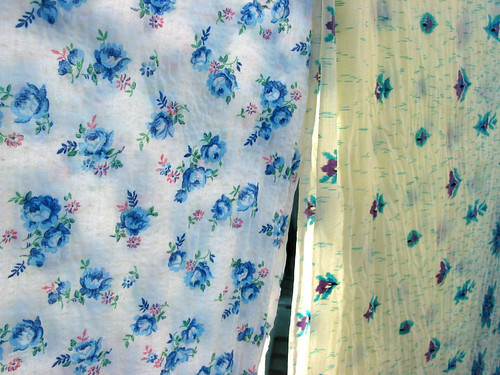 If you had told me twenty years ago that I'd be oohing and aaahing over pictures of fabric, I'd've thought you were nuts! My goodess, such a sweet score! I love it all, including the Babar fabric. 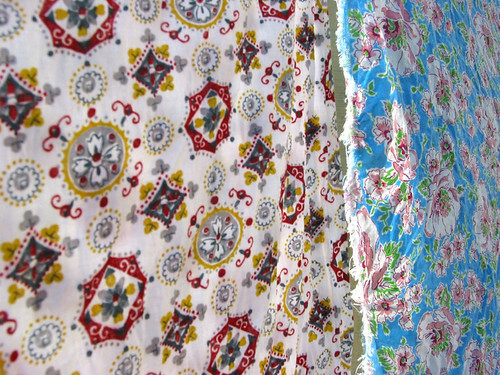 Is it possible to have fabric envy :D ? nice score with the Babar fabric! I also really like the blue in the second-to-last pictures. Please show us what you make with them! 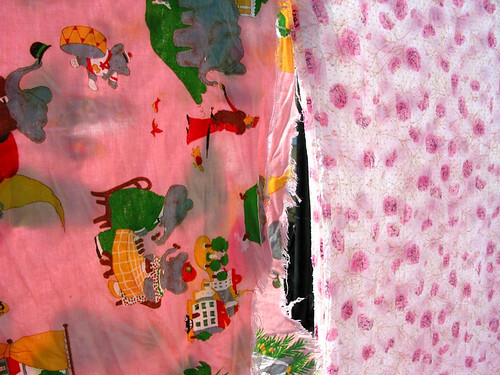 I haven't come across a vintage Babar fabric before, great fabric! and thanks for posting the pic.